The Emigrants is one of the best novels to appear since World War II. The four long narratives in The Emigrants appear at first to be the straightforward biographies of four Germans in exile. Sebald reconstructs the lives of a painter, a doctor, an elementary-school teacher, and Great Uncle Ambrose. Following (literally) in their footsteps, the narrator retraces routes of exile which lead from Lithuania to London, from Munich to Manchester, from the South German provinces to Switzerland, France, New York, Constantinople, and Jerusalem. Along with memories, documents, and diaries of the Holocaust, he collects photographs—the enigmatic snapshots which stud The Emigrants and bring to mind family photo albums. Sebald combines precise documentary with fictional motifs, and as he puts the question to realism, the four stories merge into one unfathomable requiem. Tragic, stunningly beautiful, strange and haunting. The secret of Sebald’s appeal is that he saw himself in what now seems almost an old-fashioned way as a voice of conscience, someone who remembers injustice, who speaks for those who can no longer speak. In Sebald’s writing, everything is connected, everything webbed together by the unseen threads of history, or chance, or fate, or death… beautiful and unsettling, elevated into an art of the uncanny - an art that was, in the end, Sebald’s strange and inscrutable gift. A writer of almost unclassifiable originality, but whose voice we recognize as indispensable and central to our time. One of the most mysteriously sublime of contemporary writers. A writer whose work belongs on the high shelf alongside that of Kafka, Borges, and Proust. The first thing to be said about W. G. Sebald’s books is that they always had a posthumous quality to them. He wrote - as was often remarked - like a ghost. He was one of the most innovative writers of the late twentieth century, and yet part of this originality derived from the way his prose felt exhumed from the nineteenth. 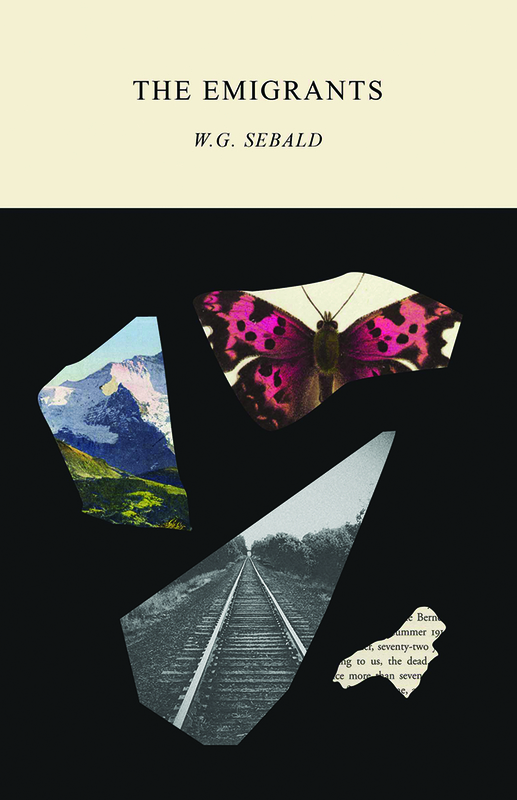 Few writers have traveled as quickly from obscurity to the sort of renown that yields an adjective as quickly as German writer W. G. Sebald (1944 - 2001), and now Sebaldian is as evocative as Kafkaesque. Sebald is that rare being: an inimitable stylist who creates extraordinary sentences that, like crystals, simultaneously refract and magnify meaning. Sebald stands with Primo Levi as the prime speaker of the Holocaust and, with him, the prime contradiction of Adorno’s dictum that after it, there can be no art. W.G. Sebald has written an astonishing masterpiece: it seems perfect while being unlike any book one has ever read. Bewitching in its subtlety, sublime in its directness and in the grandeur of its subject. The Emigrants is an irresistable book. Sebald is a rare and elusive species, but still, he is an easy read, just as Kafka is. He is an addiction, and once buttonholed by his books, you have neither the wish nor the will to tear yourself away. Most writers, even good ones, write of what can be written. The very greates write of what cannot be written. I think of Akhmatova and Primo Levi, for example, and of W.G. Sebald. “If you are completely new to Sebald, you should probably start with his early masterpiece, The Emigrants. Sebald is a rare and elusive species…But still he is an easy read, just as Kafka is…He is an addiction, and, once button-holed by his books, you have neither the wish nor the will to tear yourself away. Tragic, stunningly beautiful, strange and haunting.